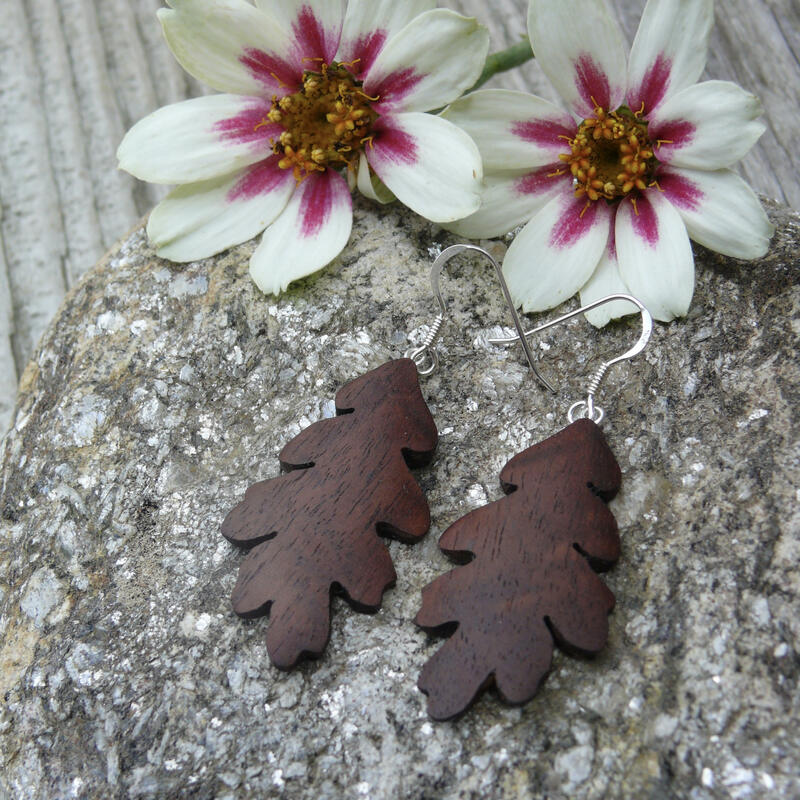 These beautiful, light-weight oak leaf earrings are made from sustainably harvested North American wood. 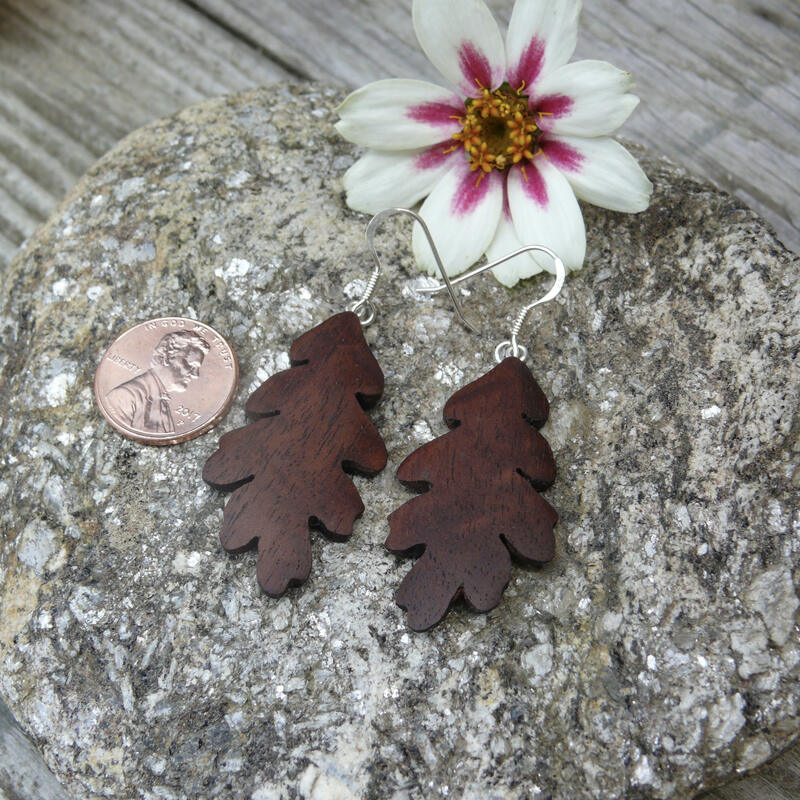 Modeled after an actual oak leaf! Polished to a silky sheen and finished with 100% pure Tung nut oil. 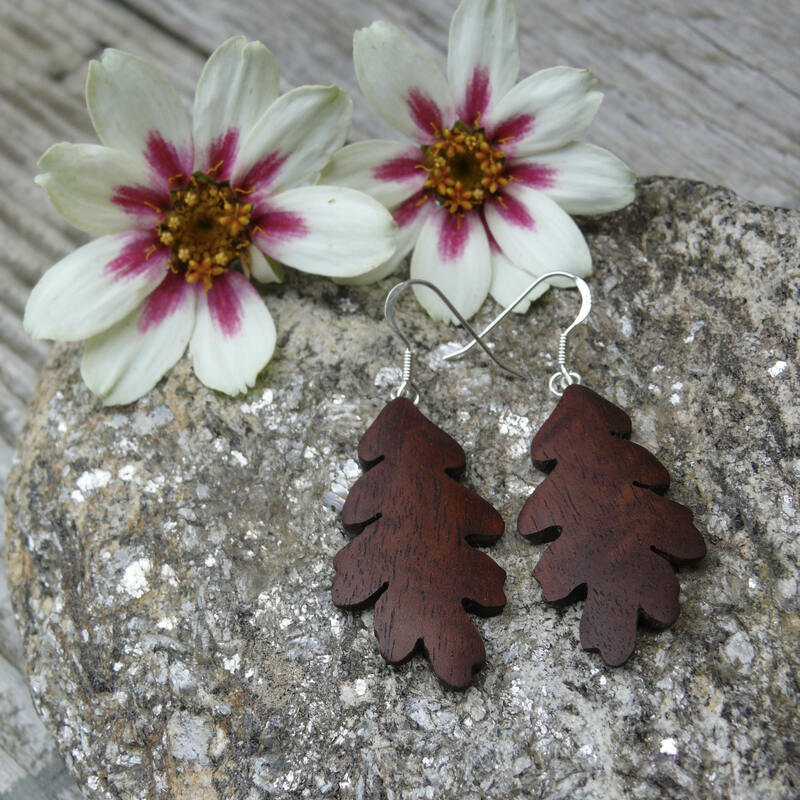 These items are made with local wood that I sustainably harvested with love and respect for the forest. Please note that the hue of wood tends to deepen over time. I try my best to accurately photograph each item, portraying it's genuine colors, but please keep in mind that the actual color may vary slightly from the photos. I wholesale to retailers! Please contact me for more information on having my work in your store. PAYMENT: Payments through etsy generally clear right away, however, occasionally clearing will take longer. You can check the status of your payment any time by logging into your etsy account and looking in your recent orders page. Payment must be cleared before I can ship the order. Most orders ship within two business days of cleared payment. SHIPPING: Orders normally ship within two business days of cleared payment. I ship worldwide! I use USPS First Class mail along with USPS Priority & Express mail. At checkout you are given options for shipping preference. If your package is over 16oz (one pound) in weight you will automatically be given Priority mail or you can choose Express mail as your shipping options. INTERNATIONAL CUSTOMERS: Please note that as a buyer, you are responsible for any import fees, taxes, duties, etc. that may occur. I have no way to know how much these fees could be, please check with your country's customs office for more information. RETURNS: If you are not 100% satisfied with your purchase, return it within one week (7days) of receipt (Delivery) in original condition, for a complete refund of item purchase price, excluding shipping and handling.